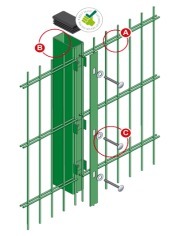 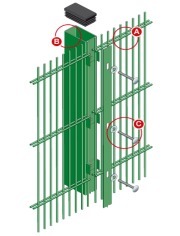 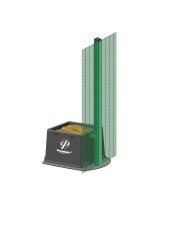 Maximum security premises require the highest level of protection, and that’s exactly what SlideMaster SR3™ cantilever sliding gates provide. 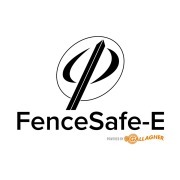 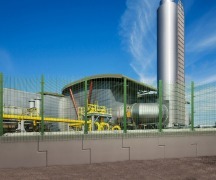 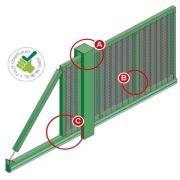 As the most secure option in our SlideMaster™ range and the world’s first SR3 Sliding Gate, they are built for the most sensitive security areas, including prisons, power stations and government sites. 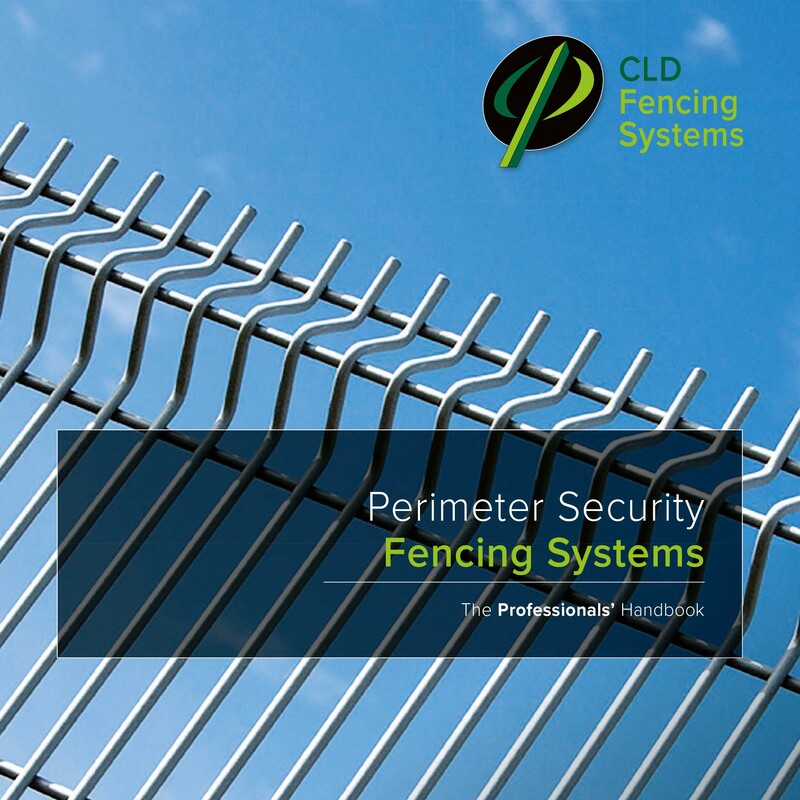 Having certification to Loss Prevention Standards 1175 Security Ratings (SR3), they provide a solid five minutes’ delay time to physical attackers using even advanced mechanical tools. 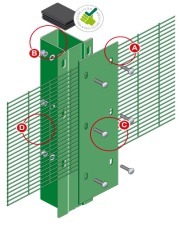 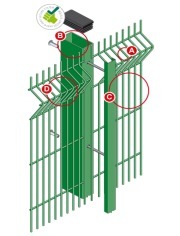 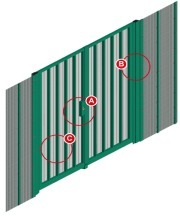 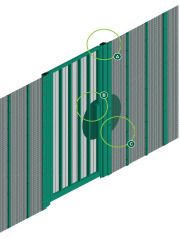 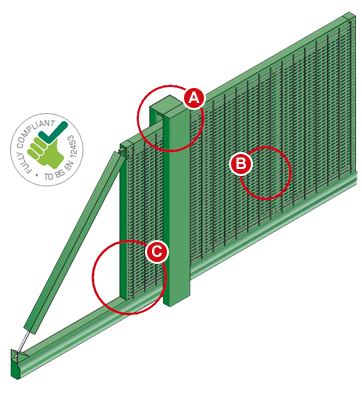 This is down to the aluminium gate panels of SlideMaster SR3™ being protected by two layers of incredibly durable welded wire mesh, ensuring they’ll stand up to even the most determined attackers time and time again. 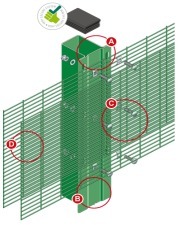 With no keyed locks and totally enclosed controls, SlideMaster SR3™ boasts a wealth of security features. 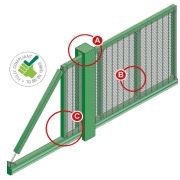 You also have the option of adding vehicle security barriers behind the gates as an extra resistance to vehicle impact.